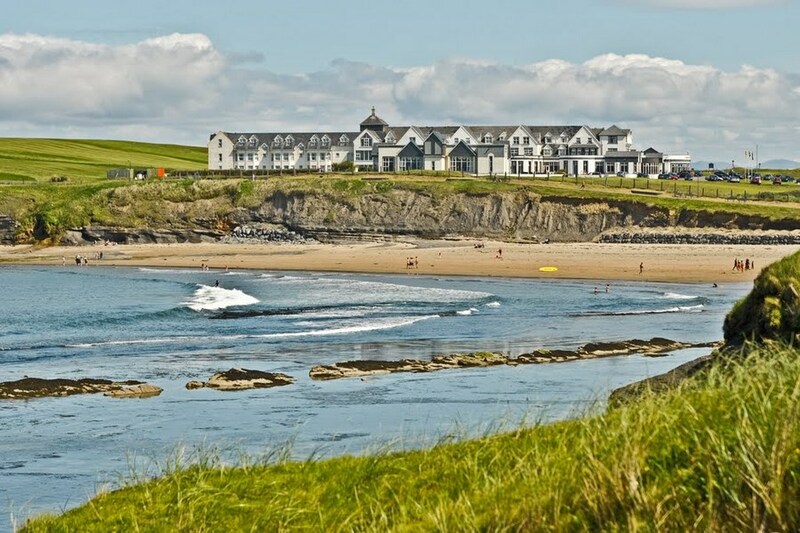 The Great Northern Hotel is a 4 Star Hotel in the centre of an 18 hole championship golf course, The hotel is located on the west coast of Ireland in County Donegal, overlooking the Atlantic Ocean and the town of Bundoran. A warm and friendly atmosphere awaits you here. The Hotel is located in Bundoran town. 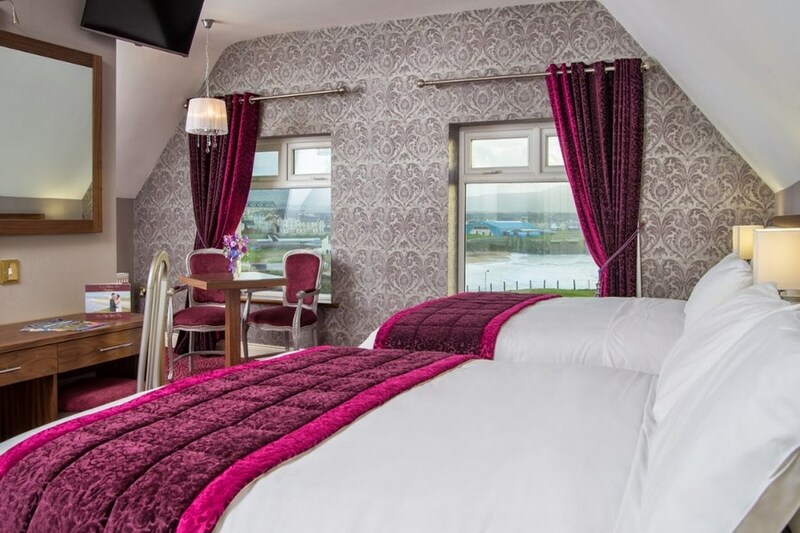 The fine parkland creates a pleasant setting for a relaxing stay. It is an ideal location for fishing, hiking, horse riding, surfing and outdoor adventure activities. Sorry this break did not do it for us.Basic things not right....Poor TV reception,poor and in some cases no heating in rooms, slow trickling toilet cistern in bathroom and a a consensus that a good returbishment would be needed to bring the hotel into into the standard that the short break traveller demands . A falling star....Action before a busy holiday season kick in. Good food and majestic location however. Lovely hotel, staff very responsive, fabulous pool, sauna, steam room, jacuzzi, me n my daughter had a fabulous time, counting down the days till the next one! Beautiful hotel. Lovely food and friendly staff. We will be back. Very disappointing - Myself and four friends stayed in the hotel - This was meant to be a nice relaxing break but it was anything but relaxing. There were a few more joining us and I called the hotel to see if they would offer a reduced rate or accommodate an extra bed in the rooms -they would not negotiate a reduced rate fro those joining . As a result the other 6 stayed elsewhere. View from room was dreadful - we were looking out at a fire exit and under it was filthy/tap in room was broken which meant we had a tap dripping all night. Pool and jacuzzi was cold. All 10 of us ate in the hotel - restaurant staff were lovely but the food was just ok. We went to bed around 12.30 but the noise between 2 and 4 was horrendous so we got very little sleep. Such a shame as the location was fabulous even with bad weather. One of the worse hotels I've spent the night. Room very dull, bathroom something from early1980's. Broken shower an hot tap. Broken fitting on walls from old handrails. Evening meal was not included in my booking deal. We book dinner costing €30 per person for 3course very very basic meal with little favour. It classed as four star hotel but I've stayed in better 2star hotel. Yes it has great golf course but a stand alone hotel it really bad. Sorry but true. The lobby and bar are very nice but the room was very disappointing. The room was very dark and dreary and in bad need of redecorating. The staff were friendly and the breakfast was good but overall I don't think I would stay here again because of the room. Hotel was very disappointing not up to standard and certainly not four star, in bad need of a re-vamp. Bedroom was not up to standard and extremley disappointing, bed clothes were certainly not up to standard and insufficient. The only thing that did not ruin the whole weekend was the food was alright. But on our second day there we had taken our young children up the town and decided to have our food back in hotel and we walked back only to be told there was no bar food that day!!! Only soup and sandwiches. The Restaurant would not have been open for another two hours. So we had to leave the hotel to get some food a disgrace!!! for a Hotel. It was our first time in Donegal, but we wont be back. They need to get the Brennan brothers in badly to do a revamp its far from four Star. Some of the staff were friendly but they need to upskill mainly their older staff on good customer service practice and that it doesnt hurt to smile!!!! They need to keep their Chef as that is the only thing that I would commend them for and some of their staff!!! Room was cold. Breakfast was discusting. Would not recommend. Staff were very nice and helpful. Really enjoyed our stay and will be back. Breakfast was good but the bar food was not good qualityand not much variety. Bedrooms nice and big but needs a bit of up dating. Myself and my husband and our four year old son stayed in the Great Northern Hotel during the bank holiday weekend. It is the most beautiful hotel I have ever stayed in and over many years i have visited many hotels both here and abroad. From the moment we stepped inside the door we could feel the warmth of the hotel as it was chilly out and every radiator was piping hot from downstairs to the rooms upstairs.the warmth also radiated from the reception desk with the smiling faces of the girls who greeted us. the entire hotel is child friendly especially the stairs as they are wide and safe. It is like a huge big house and eeryone is treated as part of their family. The decor is old world and so tasteful and the diningroom is breathtaking. We loved the antique style paintings around every corner and the big cosy couches. The food was so delicious especially the duck, my husband is still raving about it.I especially want to commend the young girls and the red haired boy in the diningroom. They were so attentive to our needs especially with a young child.Thank you all so so much.we will be returning again and again please god. The staff were fantastic and went out of their way to organise a delicious dinner for my vegetarian girlfriend. The room was lovely. Would definitely stay there again. 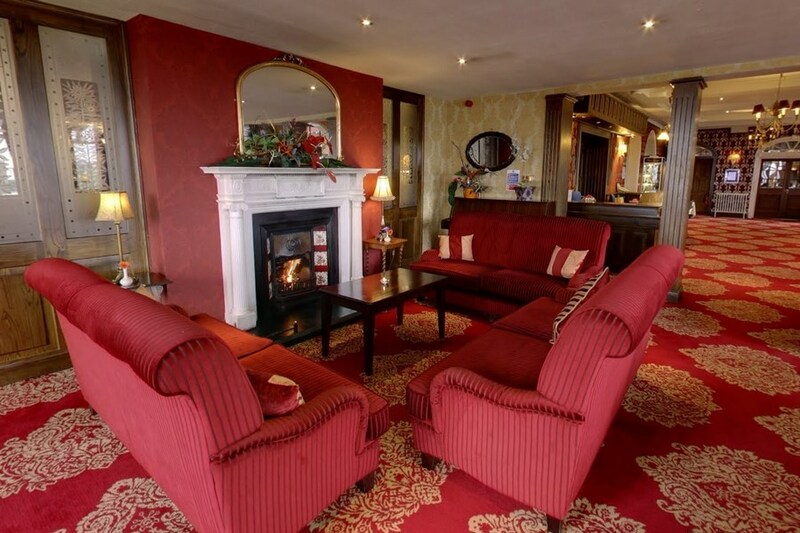 Yes we had a lovely relaxing week end in the Great Northern Hotel in Bundoran. There was a great buzz around the place. The temperatures outside were very cold but the hotel was very warm and cosy. The dining room service and food were excellent. We would definately go back again. Perhaps next time we would look for a longer bed as I felt the bed was short!!!! The hotel is in a great location, decor is extremely dated, the meal was ok the restaurant staff were unfriendly and unprofessional and were more interested in clearing tables than they were serving customers. However reception staff were extremely friendly and willing to help. Rooms were a good size and had good facilities. Breakfast was good. Its definately value for money however it did not fufil the standards of a four star hotel and I would not stay again.